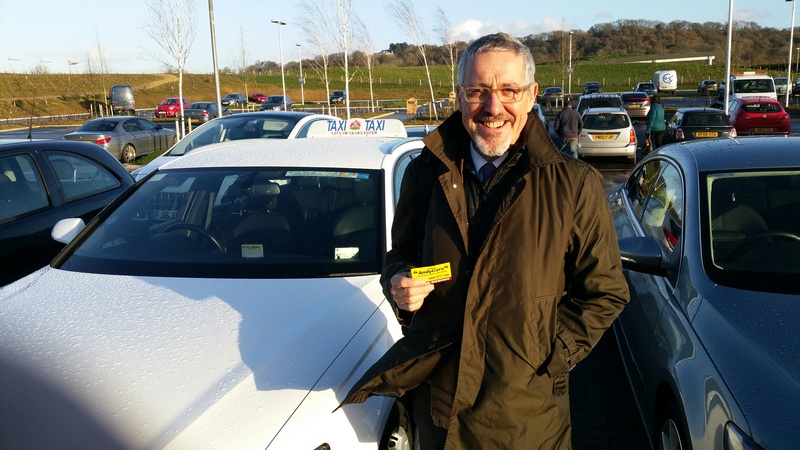 Gloucester Services had a visit from television presenter and comedian Griff Rhys Jones yesterday. Mel and Griff met much earlier than this whilst working on ‘Not The Nine O’Clock News’ and they went on to have a very successful career together even making a couple of movies together. Griff now lives in London with his wife Jo, and tends to spend his career presenting factual programs. Whilst in Gloucester the natural choice for transport was of course Andy Cars, where one of our executive drivers spent several hour in Griff’s company, and Griff expressed his sincere gratitude for the service provided.